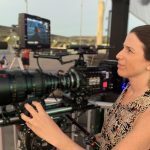 NAB is less than 3 weeks away, and we’re excited to share a sneak peak with our panelist, Jillian Arnold, Emmy Award winning Camera Operator and Recording & Workflow Engineer! 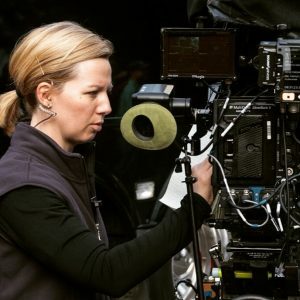 Her multifaceted background in digital acquisition, workflow engineering, and media management makes her invaluable to shows as diverse as Ted Talks, to The Academy Awards Red Carpet Live, to The Super Bowl, to Grease Live! 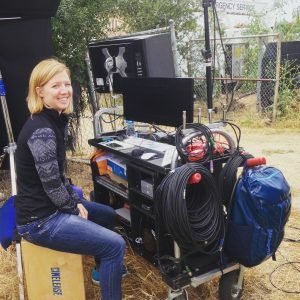 Her experience spans across multiple aspects of our industry, seamlessly juggling the worlds of Camera, Workflow, and Union leadership. We can’t wait to sit down with her live and in person at the Shooting Space Exploration panel and party with her at the #WiM event on April 8. What inspired you to get into live production? I have always loved live events. During my undergraduate tenure at the University of Wisconsin-Madison, I gravitated toward the live TV aspect of the curriculum. Much like my graduate work at Chapman, however, the program mainly focused on the feature genre. Unlike most of my colleagues in live production, my background is actually in cinematography and film theory & history. When I got the opportunity to move into TV, I gladly accepted the work. In fact, I was happy to move away from feature work. I really feel like I hit the jackpot! 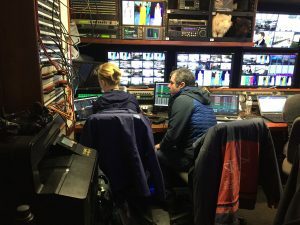 I enjoy the aspect of going to a stage or a venue, being in a broadcast truck, and having a family of co-workers all around the country. About half of my work is in Los Angeles, which means I travel two or three times a month for work elsewhere. I played eight years of competitive volleyball, and looking back, I think what appealed to me about live TV is a similar sense of pressure: the “make or break” of a situation, the necessity of perfect performance, and the confidence in muscle memory to perform automatically in tough situations. I am a junkie for the pressure. I love the “hard. Congratulations on your interactive category Emmy for Cassini’s Grand Finale. Tell us a little about the production and working with space celebrities at JPL (Jet Propulsion Laboratory). Thank you! This Emmy is very special to me. 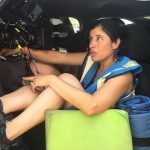 I have been a camera operator/cinematographer at JPL since 2008. This April, I am celebrating eleven years! JPL was one of my first contracts after I completed my graduate degree. It is an accomplishment that is very much a labor of love. I have always looked at my career as having two separate universes – I have my Aerospace life and I have my Hollywood life. It is very special to me that my Hollywood universe, my academy peers, celebrated the work I did in a completely separate, yet equal part of my life. I am the handheld camera operator in JPL’s mission control room during landings, flybys, and other major events in the lab. My first mission was the Phoenix Mars Lander in 2008, and our most recent event was a similar lander called InSight. Landings are an indescribable event. 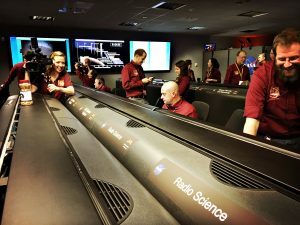 The fear, tension, and stress of teeing off a spacecraft from Florida and landing it perfectly on a Martian “green,” results in a pride for our country and an awareness of the intellect in the room. 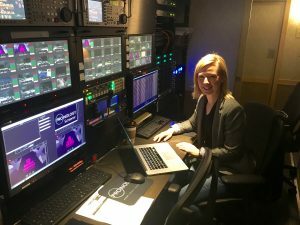 How has working at JPL translated to working in live broadcast such as the Oscars Red Carpet, MTV Video Movie Awards, and Grease Live? JPL was the best training for what I currently do.  I am a recording and workflow engineer in live TV. 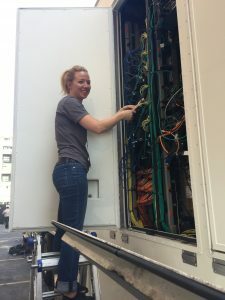 Alongside my duties of recording proper video and audio signals, I am also an evangelist for certain recording platforms, storage solutions, and truck workflows that are always pushing the future of live TV technology. Experiencing proper testing procedures of space flight hardware can easily translate to testing procedures for recording, and engineering problem-solving. It is important to know and understand all aspects of your equipment: the potential flaws and setbacks that could be detrimental to your end product, the breaking points of the ancillary gear, and also the personalities of the operators using it. Testing a product is the same whether it goes to space or it records the VMAs. More so, my training at JPL grounds me in my Hollywood work. The pressure of delivering a show like Grease Live, Rent, or an award show, seems inconsequential to landing a five billion dollar rover on Mars. After all, TV does not exist because of your tax dollars. If I were to lose a record channel for a TV show, I would be upset, but if we lost a spacecraft during a landing on Mars, I would be inconsolable. My space life and my Hollywood life balance, and put each other in perspective. Psychologically, I think this mindset allows me to be successful on some of the biggest and hardest live shows of the year. What was your path to becoming Vice President of Local 695 (Sound Technicians, Video Engineers, Television Broadcast Engineers and Studio Projectionists)? I am the first woman to hold an executive office on the board of Local 695, a local founded in 1928. I am also the first person from broadcast and the video side of the local to hold this office as well. All three merits are something I am very proud of, and I work hard to represent all of these parties for the local. Since I am at the forefront of digital recording technology, the local brought me in as a consultant on laying a foundation for this union jurisdiction. Local 695’s membership is predominantly in the sound department, but a third of our members work in the video assist, video engineering, broadcast or projection fields. I came aboard to help educate leadership on the video and broadcast end, resulting in better contractual representation. My consulting led to a seat on the board after a member retired, and at the end of the 2017, I was was elected Vice President. I highly recommend getting involved in your local. A union is only as strong as its members want it to be. If I have learned anything in my three years of leadership, it is that having a representative from your format or genre often makes people more enthusiastic, more inquisitive, and more knowledgeable about their union. For decades, broadcast video and sound did not have representation on their local’s board. Now, I cannot work a single job without someone asking me a question about contracts, health care, or someone to reach out to. My representation on the board gives an accessibility to information to our members. I find members are comforted and grateful to know someone who has their back. Our goal as a local is to be defined as both Video and Sound technicians. To many people, I think I am the face of this movement. It is a culture change I am excited to be leading, and a responsibility I take seriously. I come from two families of strong, fearless women. Both of my grandmothers are survivors, leading the way through many tough situations. I look at both of them as pinnacles of strength. But my most important idol is my mother, Coleen Graham. My mom is one of the hardest-working women I know. She has been successful at several businesses, and supported her daughter through both undergrad and graduate school. Furthermore, my mom made a major career move at a very vulnerable time in her life. Not only did she achieve her masters certification in her new chosen field, but she invented a product that is so in-demand, her business is booming into a nationwide commodity. I admire people who step into the unknown and lay it all on the line. My mother is one of those people. Our careers bloomed simultaneously, and it has been a joy to not only ask my mother for advice, but also give her my perspective as we move forward in our ventures side by side. In addition, I look up to Pronology CEO & playback operator Jon Aroesty, and Sound Mixer & Local 695 President Mark Ulano. I am grateful that these two masters of their crafts have chosen to take me on and mentor and partner with me through my career. Jon and I have collaborated on many projects, and he has taught me about the business aspect of the industry. Mark has mentored me in leadership at the union level. Both men are extremely supportive of women in the below the line jurisdiction, and have supported me in opening the door for many other women who want to get into tech and union leadership roles. What do you look for in a potential hire? In addition to all of the above, I think it is important to train others who have an interest in the field. Each year, I take on one or two mentees. I start training them in assistant recording/playback roles. I set them up with a curriculum that I think will train them in all aspects of recording technology, ask them to help with show setups, and look over show documentation, while asking questions. When my mentee and I both feel they are ready, then I place them on show that will require them to get their local 695 card. They continue to receive training and mentorship as they move forward in the workforce. Right now, I have about four women in cue to train. It is very exciting! I look for women who have dedication, acute attention to detail, quick reaction times, and high energy. She has to perform well under great stress. She needs an enthusiasm for the work, because it requires a lot of training. I love new candidates who have a history playing first-person shooter games. Their computer skills and reaction times are generally on point for this position! Many are surprised by my inclusion of this criteria, but people who game seem to have quicker reaction times overall! The ability to make decisions quickly can potentially save a show, and that is crucial. What are your preferred technicals (camera/editing software/etc). 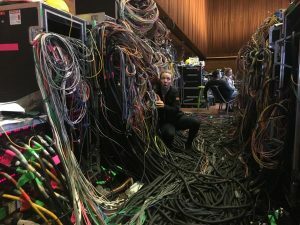 As a recording engineer, I specialize in 4k recording, network, and storage solutions as well as live broadcast events with tight turnarounds. These are shows that require edit bays on site. I record directly to those bays while editorial is cutting and shaping the show for West Coast air time. In short, the more data written or the harder the workflow, that’s my preference! My next projects are Nickelodeon’s Kids’ Choice Awards in Los Angeles, in late March. I then head to Las Vegas for NAB for two days (come say hi at the Women In Media Panel Event), before I fly to Vancouver for Ted Talks. I love Big Ted, as we call it! For me, it is the ultimate “brain spa”. I feel very fortunate to be able to record content that I would spend my free time watching! Don’t miss out on this chance to see Jillian, live and in person on April 8 at the Women In Media panel! Claim your ticket for the party directly after the panels.